Global Conference on Neuroscience & Mental Disorders : Vydya Health - Find Providers, Products. 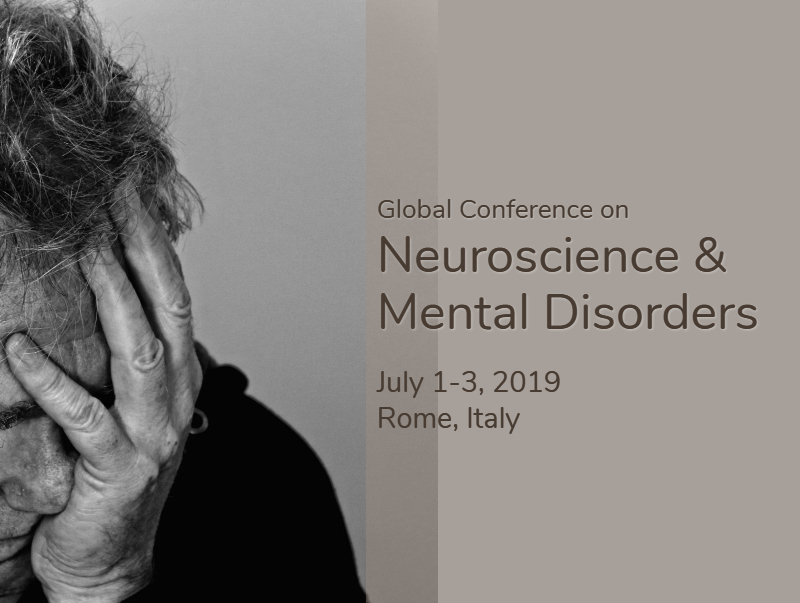 Global Episteme takes pleasure to organize Global Conference on Neuroscience & Mental Disorders at Rome, Italy during 01 – 03 July 2019. Neuroscience 2019 showcases the best medical practices in the world, and provides a one-of-a-kind forum to explore the complete spectrum of neurology from basic science to translation and application. We aim to narrow in on your scientific niche, and connect with the experts in your field. Neuroscience 2019 brings together Neurologists, Research scholars, Neuroscience Professors, students, Neurosurgeons, Psychiatrists, Brain Disorder survivors, Health professionals and Clinical Pharmacists. This is one kind of scientific platform with explicit keynote lectures, plenary sessions, Poster competition, Young Researchers’ Forum (YRF), Workshops, Symposiums and Exhibitions from elite researchers, distinguished scientists and business delegates. We provide unique opportunity for Researcher’s, Advertisers, Exhibitors and Sponsors at this International event to share their ideas and improve their Network. Neuroscience 2019 welcomes everyone to join us for three – day conference to the “The Eternal City”, Rome in the month of July.